CAN YOU MAKE AWESOME FRITTERS THAT ARE GLUTEN-FREE? Yes, you can. Wouldn’t make sense to write a blog about it otherwise, right? 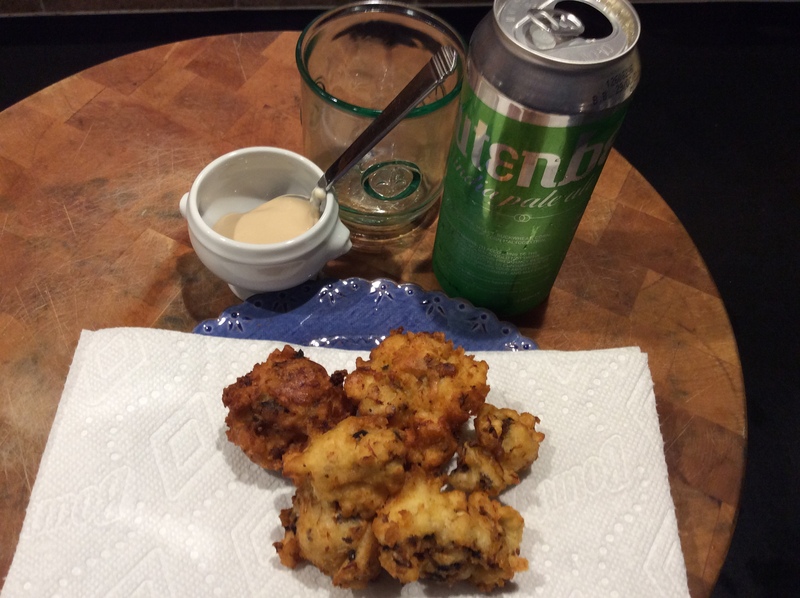 They key ingredient in making a good fritter batter is beer. But up until recently, there weren’t many gluten-free beers to choose from…and the ones that were out there tasted like crap. All that has changed. Now you can pretty much find a gluten-free craft beer in every state, and there are several regional gluten-free beers as well. Easy enough to find: just go to a good beer store and ask. They almost always carry a couple of brands. Gluten-free beers can be divided into 2 types: truly gluten-free: brewed with gluten-free ingredients and safe for Celiacs to drink…and gluten-reduced: beers that are brewed with ingredients containing gluten, then had an enzyme added to reduce the gluten. These are fine for those, like my wife, that have an intolerance to gluten, but are not Celiac. Read the labels! The beer that I used for my recipe is a beer that they say is “crafted to remove gluten,” meaning there’s still a small amount left in there. Ultimately, if gluten is not an issue for you, follow the recipe at the bottom of this page. 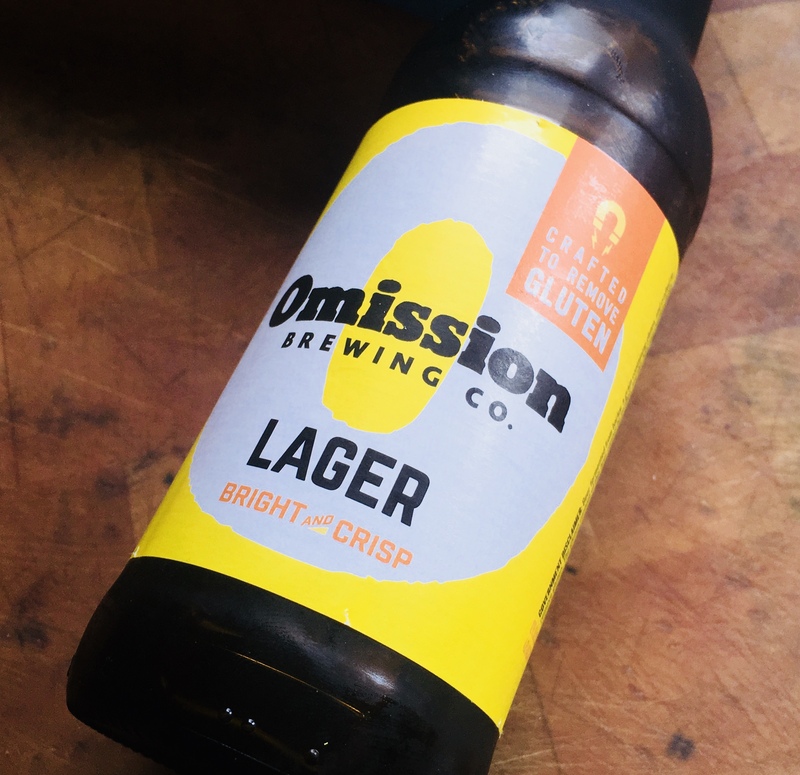 It’s my original, and not only uses a tasty lager full of gluten, but also a special fritter flour, which can be found in many stores. 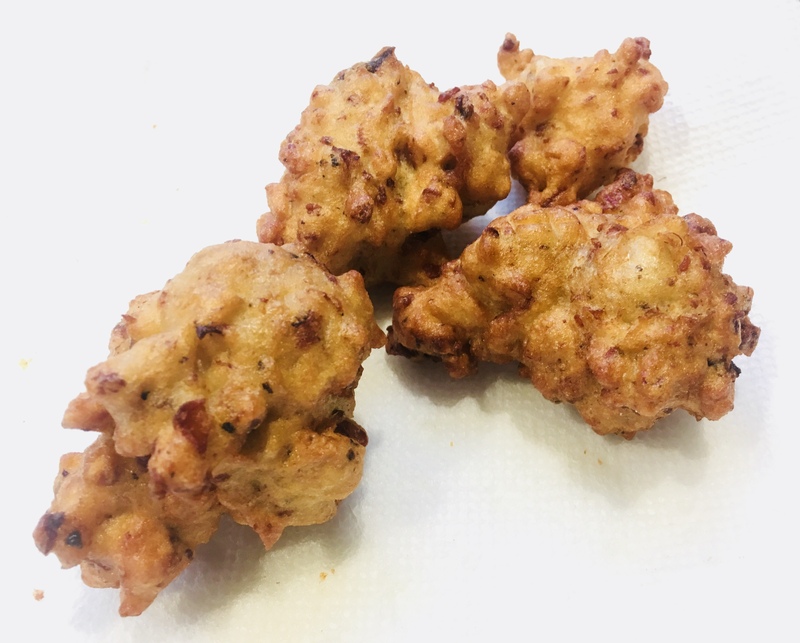 However, if you have to “live the gluten-free live,” and you’ve told yourself you can never have another fritter, I have good news for you: you can…and they’re delicious! This is a large batch, so feel free to reduce it if needed. 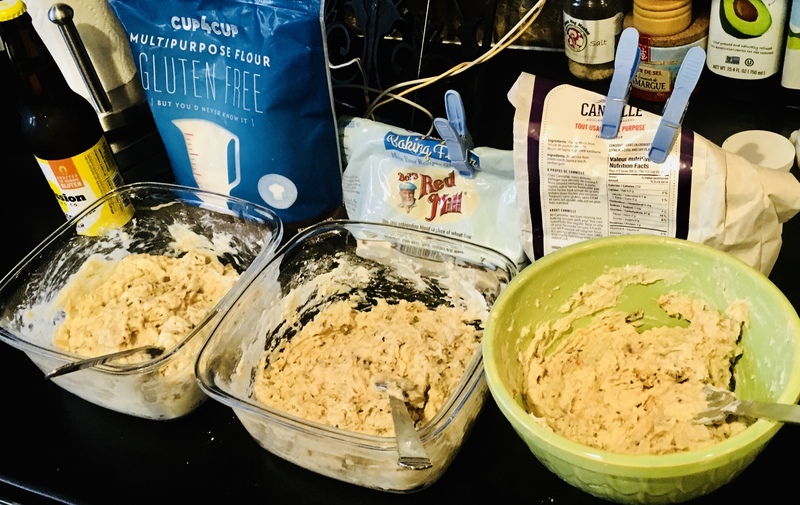 In making this recipe, I tested 3 types of gluten-free flour: Cup4Cup all-purpose flour, Bob’s Red Mill GF Baking Flour, and a Canadian brand (not available here yet.) Cup4Cup (far left) was the clear winner for taste and texture of the fritter. Pour an inch or two of water in the bottom of a pot, and place a strainer on top. Pour the mussels, fresh or frozen, onto the strainer and cover the pot. Set the heat on high and steam the mussels until they’re cooked, about 5 minutes. If you’re using fresh mussels, throw out any of the ones that didn’t open. Frozen mussel meats (without the shell) are also available in many areas. They work with this method, too. 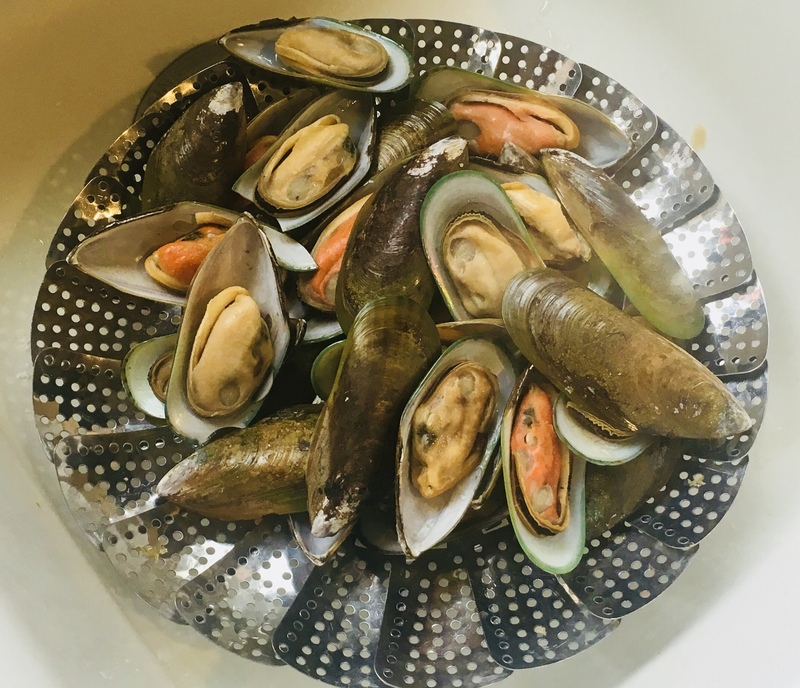 Steamed New Zealand green-lipped mussels. Available frozen in many stores. Get the plain ones, not the ones that already come with sauce. Remove the meats from the mussels, and toss them in a food processor. Give them a quick chop…not too fine, because you want to see and taste them in the fritter. Save the “mussel juice,” the water in the bottom of the pot. It’s got lots of mussel flavor. Place the flour in a large bowl. Add the chopped mussels. Add a 1/2 cup of the mussel juice and a 1/2 cup of the beer. 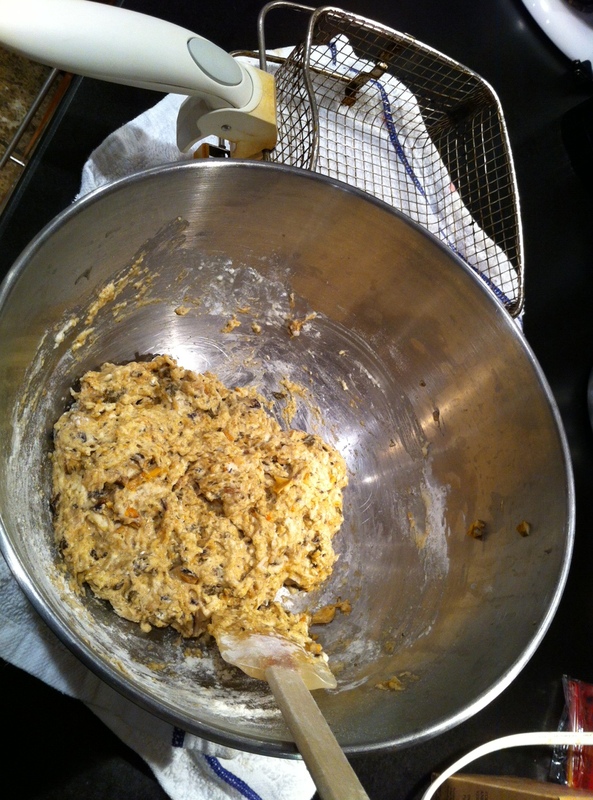 Mix thoroughly, using a fork or your hands, until you get a batter that’s a bit gooey, but not really wet. You might need to keep adding small amount of broth, beer or flour to get just the right consistency. Once you’ve done that, let the batter rest for 10 or 15 minutes. Keep it at room temperature, and do not stir again! If you need to wait a while before frying, cover the bowl with a wet towel. In a heavy pan or a fryer, heat the oil to 350 degrees. Once the oil is hot, take small meatball-sized globs in your hands and gently drop them into the oil. Don’t fry too many at once or the oil temperature will drop too quickly. Fry them until they’re golden brown and cooked all the way through. Drain the fritters on paper towels, and season them immediately with salt and pepper. The dipping sauce recipe I have listed at the bottom is not gluten-free. But most tartare-type sauces usually are, and are equally delicious. Of course, you can make fritters with anything, from mussels to shrimp to lobster! You’d never know they were gluten-free! Here’s the original recipe, full of glorious gluten! It was a fall afternoon in Newport, Rhode Island, at the now-defunct Newport Yachting Center’s annual Oyster Festival. We’re gorging on freshly shucked oysters and clams, boiled shrimp, and…what have we here? I never heard of a mussel fritter before, but once I took a bite, there was no turning back. They couldn’t be easier to make, but it is crucial to have the right fritter batter. And that starts with a Rhode Island product called Drum Rock fritter mix. If you live in New England, you can find it in just about any seafood department at Whole Foods. If you live further away, you can check out their website (www.drumrockproducts.com) or try your luck with a local brand of fritter mix. If you’re using fresh mussels, be sure to clean them well and remove the beards. Steam them in a pot over a small amount of water. As they open, they will release their flavorful juices and you want to save every drop of that broth for the fritters. Here in New England, frozen mussel meats are available in some seafood stores. All you need to do is thaw them, steam them saving the broth, and you’re ready to go. Steam the mussel meats until they’re just cooked. Remove the mussel meats, and reserve 1/2 cup of the broth. Pulse the mussel meats in a food processor, but leave ’em chunky…or chop by hand. Using a thermometer, heat the oil in a deep pan to 350 degrees, and using a small spoon or scoop, drop the fritters in the hot oil, turning gently, cooking 3 to 4 minutes until golden. Drain them on paper towels, and season with salt and pepper immediately. Serve right away! The perfect dipping sauce for these mussel fritters is made from two ingredients: mayo and Ponzu sauce, a citrus-based soy sauce. Combine both ingredients in a bowl. Keep it in the fridge until you’re ready to use it. 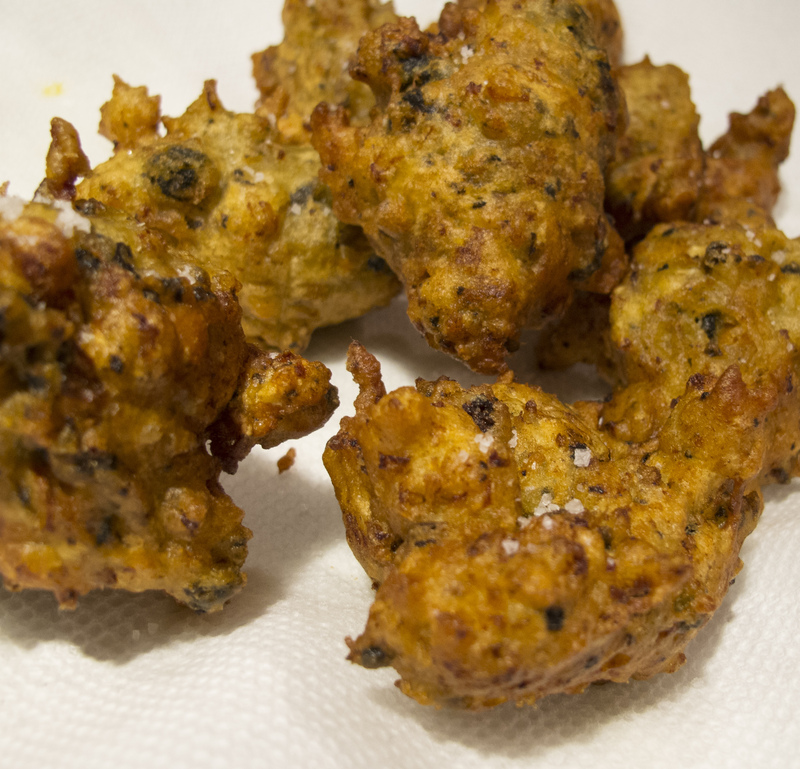 Clam fritters, conch fritters, lobster fritters…I suppose you could fritter anything. But the first time I had them with mussels, I knew that I would never fritter my life away with any other! 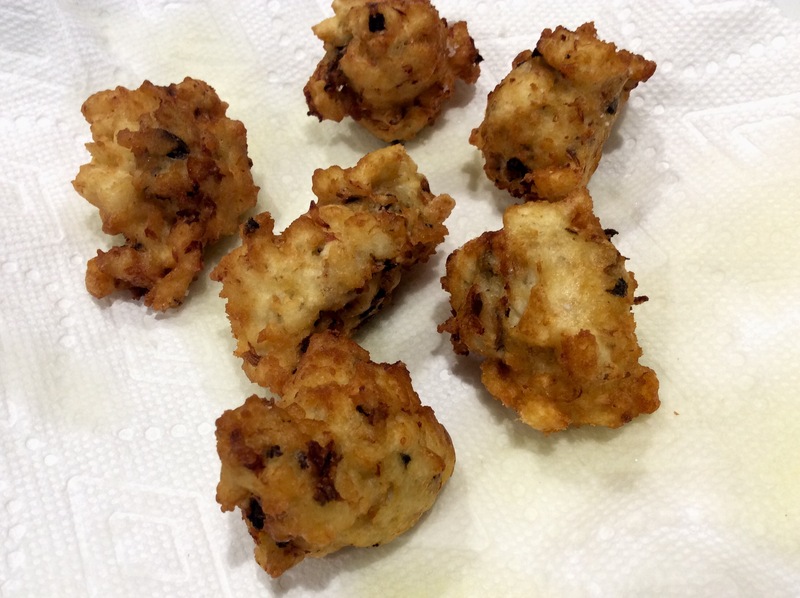 For years, I’ve made a simple fritter recipe using mussels that everybody raved about. But when the dietary needs of our family changed, and we had to start a gluten-free lifestyle, it seemed that fritters would have to be taken off the menu. I had nothing to lose by trying GF alternatives, and I was shocked at how delicious they were: crispy on the outside, soft and chewy on the inside. Here in Rhode Island, fresh mussels are everywhere. But if you live in an area where they’re not easily found, frozen mussel meats are sometimes available in better seafood stores. Just make sure they come from the USA…I saw one package that had farm-grown Chilean mussels that were packed in Thailand. That’s about as nasty as it gets. My original recipe calls for fritter flour, which you can usually find in any supermarket. If you’re using that, you can skip the baking powder. I added the baking powder to give a little lightness to the dough. My favorite beer for this recipe is Sam Adams Boston Lager, but again, I had to go gluten-free. If you don’t have to worry about gluten, just use the regular versions of the ingredients. Place the cup of water in a large pot and add a steamer basket. Pour in the mussels, turn the heat on high, and place a lid on top. Steam the mussels just until they open. Throw away any mussels that don’t open. Remove the meats from the shells and chop them into very small pieces. Reserve about 1/4 to 1/3 cup of the steam water, which now has some mussel flavor. Try to avoid any grit. Let the mussels and broth cool a bit until they’re warm. In a large bowl, add the flour, the baking powder, the mussels and the broth. Add the beer little by little as you stir gently. As soon as the dough is sticky and mixed, stop! Don’t over-mix. Let it rest about 15 minutes. Heat the oil in a pan to 340. 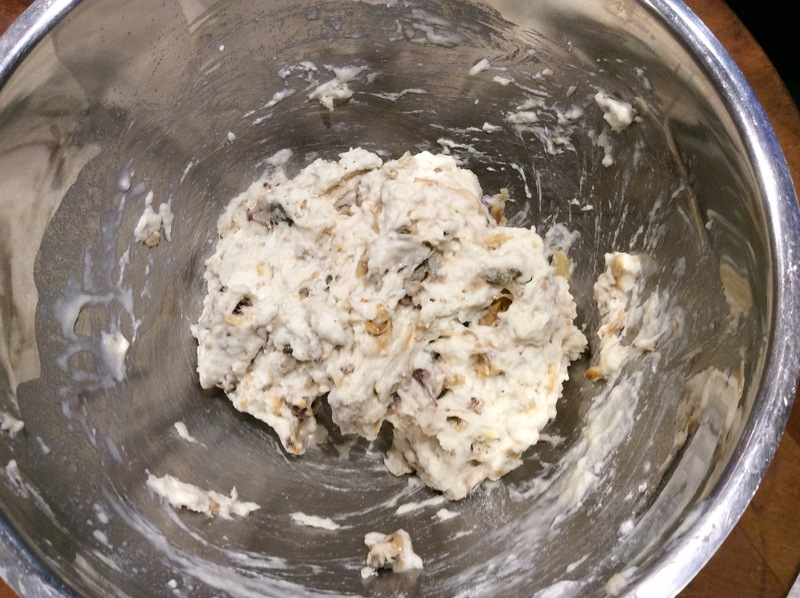 Working in small batches, drop 2″ blobs of dough into the oil, turning once when they are golden. Remove them from the oil when they’re done, placing them on paper towels, and sprinkling them immediately with salt. You can enjoy them as is, or you can make a quick dipping sauce using mayonnaise and Ponzu sauce. I haven’t found a gluten-free Ponzu yet, so I combine mayo with GF soy sauce, and a squeeze of lemon juice. It was a fall afternoon in Newport, Rhode Island, at the Newport Yachting Center’s annual Oyster Festival. We’re gorging on freshly shucked oysters and clams, boiled shrimp, and…what have we here? I had never heard of a mussel fritter before, but once I took a bite, there was no turning back. 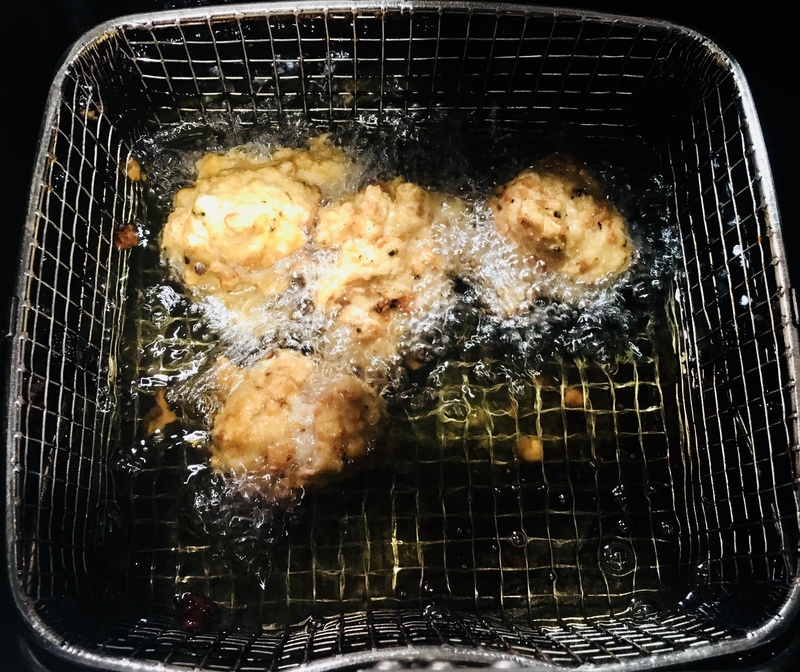 Using a thermometer, heat the oil to 350 degrees, and using a small spoon or scoop, drop fritters in the hot oil, turning gently, cooking 3 to 4 minutes until golden. Drain on absorbent paper, and season with salt and pepper immediately. Serve right away! The perfect dipping sauce for these mussel fritters is made from two ingredients: mayo and Ponzu sauce, a citrus-based soy sauce. Combine both ingredients in a bowl. Keep in the fridge until you’re ready to use it. December 2nd is National Fritters Day! It was a fall afternoon in Newport, Rhode Island, at the Newport Yachting Center’s annual Oyster Festival. We’re gorging on freshly shucked oysters and clams, boiled shrimp, and…what have we here? I had never heard of a mussel fritter before, but Wendy, the lovely lady behind the counter, convinced me that her secret recipe would knock my socks off. I took one bite, then another, then another…there was no turning back. They couldn’t be easier to make, but it is crucial to have the right fritter batter. 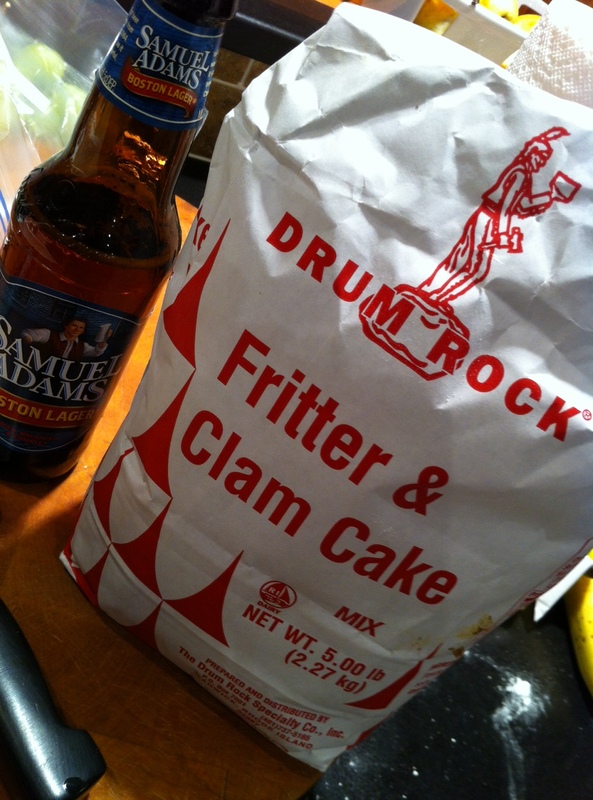 Here in Rhode Island, that starts with a product called Drum Rock fritter mix. Be sure to let the batter rest. If you’re waiting for guests to arrive, just cover the batter bowl with a moist towel and it will keep for several hours at room temperature. Steam mussel meats until just cooked. Remove mussel meats, and reserve 1/2 cup of the broth. Pulse mussel meats in a food processor, but leave chunky…or chop by hand. Put fritter mix in a large bowl. Add mussel meats, mussel broth, and beer. Stir gently until just mixed. Let it sit for 10 to 15 minutes and do not stir again. Using a thermometer, heat oil to 350 degrees, and using a small spoon or scoop, drop fritters in hot oil, turning gently, cooking 3 to 4 minutes until golden. The perfect dipping sauce for these mussel fritters is made from two ingredients: mayonnaise and Ponzu sauce, which is a citrus-based soy sauce. Combine both ingredients in a bowl. How much you use of each is a matter of personal preference. I usually use a ratio of 4 parts mayo to 1 part Ponzu. They couldn’t be easier to make, but it is crucial to have the right fritter batter. And that starts with a product called Drum Rock fritter mix. If you live in New England, you can find it in just about any seafood department at Whole Foods. If you live further away, you can check out their website (http://www.drumrockproducts.com/index.php) or try your luck with a local brand of fritter mix. Put Drum Rock fritter mix in a large bowl. Add mussel meats, mussel broth, and beer. Stir gently until just mixed. Let it sit for 10 to 15 minutes and do not stir again.